On January 31st, 2014, at the Vancouver Public Library, wine lovers and experts alike had the opportunity to come together to discuss one of the wine industry’s colossal questions: Does wine begin in the vineyard or in the winery? The debate was moderated by talented DJ Kearney. Many folks were discussing their points of view prior to the panel sharing their viewpoints, and it was intriguing to see how intently folks were engaged in what this group of writers, advisors, viticulturalists, and winemakers were bringing to the table. I decided it would be interesting to take this colossal question outside of the debate. My objective was to get the opinions of people who are in the wine industry, to tell me what side they would take if they were to examine this question themselves. I contacted Russell Ball from Adventures in BC Wine and the editor for the British Columbia Wine Appreciation Society Newsletter, Luke Whittall of Wine Country BC and a Black Hills Winery “Wine Evangelist”, tythewineguy who is an avid wine lover in addition to working for Liberty Wine Merchants, and Conrad – a popular wine writer from the group called “The Wine Wankers” out of Australia. To be honest, going into this little side project, I was thinking that having four opinions would result in a similar situation as at the debate: about a 50/50 split. I, personally, went into this debate with a sturdy opinion that wine begins in the vineyard. I won’t reveal where I’m at now until the very end. Hey! Don’t deny it; this question isn’t easy to answer! During the debate, David Scholefield made an interesting point with regards to both wine in general and BC wine. In summary, his thought process was that there are two kinds of wine: “commodity wine” (being wine that people buy to simply consume on a daily basis) and “wine of interest” (wine that is more valuable, rare, not for everyday drinking). Commodity wine, as Scholefield implied, involves the ability to produce vast quantities to meet consumer demand. He went on to say that British Columbia could never make commodity wine because we just do not have the space to plant that many vines. As a result, wine begins in the vineyard because it is about the romance and the story about where the wine originated. Wine is unique and distinct because of the vineyard and the land from which it “came from”. Bring that all together and BC’s wine industry is, according to Scholefield, making “wine of interest” from the land. Great wine is made in the vineyard. The most consistently high quality wines come from parcels of land that have unique soils. However, the vast majority of wines sold in liquor stores are not ‘great wines.’ That doesn’t mean that they aren’t good wines or can’t be someone’s favourite. It just means that the vineyard’s influence has been blended, processed, or otherwise manipulated out so that they wine is less expensive, more widely appealing, ready to drink sooner, and/or consistent year to year. Some of the best wines in the world come from France. It would be argued that the best wines come from this Old World country. The concept of how terroir effects wine was birthed in France and flourished as French winemakers began to read their land. MacNeil additionally points out that, “…the French have been so convinced that nature and geography make the wine that there has never been a French word for winemaker” (p. 112). Not convinced yet that wine begins in the vineyard? Sid Cross passionately purveyed that soil, topography, and climate are key factors in making wine. 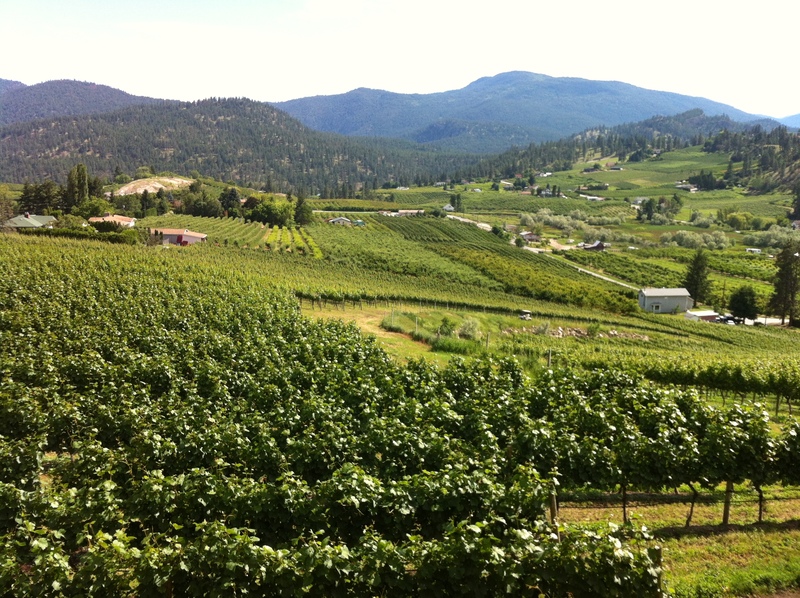 Terroir-driven areas like lakes, hills, and various elevations all exist here in BC, but BC doesn’t recognize that yet. I quoted Cross as saying, “Terroir speaks everywhere but in BC … but it will in 10 years”. Why not right now? I suspect it has something to do with the fact that BC is still “playing around” or “fine tuning” the varietals that sing the loudest in our beautiful viticultural area. Hmmmm, does wine begin in the vineyard or in the winery? This is almost like the old clichéd chicken and the egg, almost, but not really. 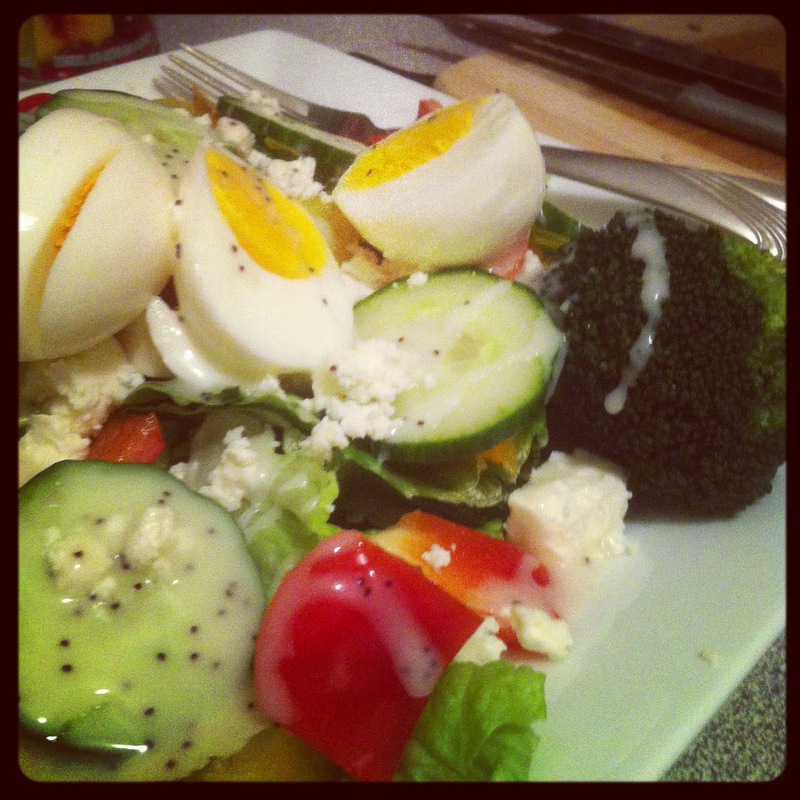 Although you can eat grapes separately to wine, like you can eat an egg separately to a chicken (or is that the other way around? ), wine doesn’t exist in the form we all love until right at the end of the process. So does this mean that the end process, a function of the winery, is the most important process and where the actual wine itself begins? Well of course not. Yes, technically that is wine begins to turn into the magic elixir we adore, and it is crucial to get the wine making spot-on to create the best drop, but the characteristics that make up the wine actually begin in the vineyard and without good grapes you cannot have good wine. It’s the location of the vineyard, its soils and environment, and the farming decisions made that produce the best quality grapes. So a wine always begins in the vineyard and then transitions to the winery where the magic is completed. It’s warm here in Aus so I think I might have a chicken and egg salad tonight washed down with an average Aussie Chardonnay that had great wine making applied to it. “Grapes begin in the vineyard. Yeasts exist in the vineyard, winery and (today) in the laboratory. It is the decision or non-decision of the winemaker as to which, when, where and how these two interact. There is nothing “natural” about the processes and decisions of creating fine wine, although it tastes sometimes, quite de-vine. His point, from my interpretation, is that you get grapes from the vineyard and wine from the winery. Thus, wine is the result of both artistry and competence in the winery by the winemaker. 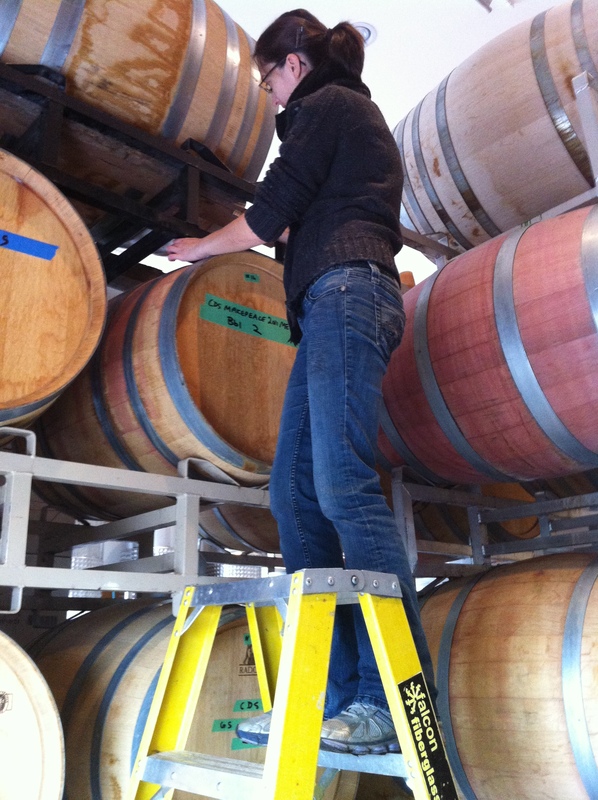 The winemaker takes what comes from the land and uses his/her skill sets in order to creatively craft what is consumed. Wine is not simply the direct product of Mother Nature’s fruitfulness; the winemaker must assess and consciously decide how to go about turning grapes into fine wine. Ann Sperling, being one of Canada’s top winemakers, had her own opinion. Of course she leaned on the side of wine being made in the winery. Her opinion, in summary, was that you will never be able to “define” a wine when there is no style, type, etc., attributed to it. These wine “genres”, as she called them, illuminate the artistry of wine making. There are genres within genres in wine making. Essentially, it is the winemaker who takes a natural, agricultural product and examines (or envisions) a final, good wine. It is the application of these genres where wine is made…in the winery. Kathy Malone argued that wine needs intervention. Without intervention, wine will not only go bad, but it will never have the potential that it could. The “parameters and protocol” that winemakers use change all aspects of wine and how it is expressed. For example, a wine expresses itself on the mid-palate differently as a result of using yeasts or oak. Malone believes that wine begins in the winery, as it “allows terroir to speak”. One got the sense over time that even the debaters themselves were agreeing with one another, that in fact both facets contribute vital importance to wine. As Howard Soon declared, “it’s a bum question – the implication that it’s one or the other.” That was certainly my own take, especially when my wife noted the number of times the vineyard team mentioned “the potential” of the grapes, inadvertently revealing the necessity for a winemaker to complete the process. It didn’t really take much for the audience to come to the realization that both terroir and talent are required for great wine, made all the more obvious by how many people held up both voting cards when Moderator Kearney sought our opinion at the end! Maybe not as dramatic a debate as last year’s question about BC’s need for a signature grape, but it was certainly exciting to see the industry stalwarts and visionaries assembled on the panel contributing thoughtful (and entertaining) analysis to the issue. What do you believe? Welcome to one of the wine industry’s colossal questions. You are most welcome. I appreciate that you took the time to help me out with this post. I had a lot of fun compiling all of the quotations and figuring out a way to structure the “debate”. I suppose the more I stand “in the middle ground”, the less the overall question becomes relevant. Enjoy your day! I am with Conrad, here. I was taught to look for the proximate cause of events in my own line of work. So can happily conclude that without grapes, there is no wine. Does wine begin in the vineyard or in the winery? I was honoured that Valerie asked me to be part of this piece. Cheers! Ah, where does wine begin? In the vineyard, of course. Where does it get what makes it this wine or that wine? Not sure. I can only take this from a technical or philosophical discussion and make it personal. As Tom Paxton (I think) once said, “I don’t know much about art but I know what I like.” I kind of apply that to this question. I’m anything but an expert but can I tell where exactly a wine is from? – uh, no. But, there is something about wine that speaks to me of the place from which it came (which sounds goofy, I admit) – barren, lush, garrigy, stoney. So, I believe that there is a basis for a wine that can only be imparted by the where – the vineyard. And, then, if a winemaker is foolish enough, they can screw with that. But, the good ones – winemakers that is, take that and amplify and build around that. Plus, Conrad is a peach and I’d agree with him on almost anything. If a wine is able to “speak to [you] of the place from which it came”, I have learned through my wine training that that is actually the best thing that can happen. For example, I once enjoyed a glass of La Galine Minnervois, and it brought me to the terroir there; I could taste the essence of what a Minnervois wine should be. It was fantastic. That being said, there are places in the world that I think still have to develop a sense of “place”. I think British Columbia, and other parts of the Pacific Northwest, are good examples. That doesn’t mean that good wine doesn’t come from these places, nor does it mean that the terroir doesn’t influence the wines. Oh goodness…now my thought process is leading me to then support the idea that wine comes from the winery in places that have not established a “sense of place”. Oh! The vicious cycle of this debate! I’m from Ontario and there definitely is a need to develop the essence of what Ontario, Niagara at least, is. It’s just starting to develop some sense of identity now. Charles Smith seems to be trying to do something about that in the Northwest – a natural approach. But that experience you mention does seem to happen to me most often with wines from the south of France and places in Italy like Puglia – sort of less international. It’s as if, they haven’t bothered to check out what people are drinking or what the latest fad is – and simply let the vineyard inform them. Let’s hope that they don’t ‘need’ to change. Great topic. Yes, the south of France (Languedoc/Roussillon) and southern Italy (Puglia region) are two areas of the world which I would tend to say don’t entirely have a sense of identity as well. Southern Italy in particular has more difficulty gaining this, in my opinion, because they are more interested in planting noble grape varieties to ensure wine sales, than keeping things original (like Northern Italy) and sticking to indigenous varietals. I like the fact that Alto-Aldige is still producing Teraldego Rotaliano, and that Piedmont holds onto Nebbiolo and Barbera like family. That being said, there are still some curious varietals being grown in Southern Italy like Nerello Mascalese that can only be done well in that area of the world. All said and done, though, we can’t rely on one or two varieties to call the “sense of identity” shots. I also quite like Charles Smith wines… I’ve tasted enough Washington wines to know that he’s doing some great stuff, and the marketing doesn’t hurt. This question is surely debatable, but it doesn’t have an answer. The grapes will not become wine on its own ( well, they can, but no oenophiles will crave that stuff), and wine can’t be made without grapes. The vineyard and winery are inseparable in making the wine people want to drink. As for the question itself, it is more rhetorical than real – it’s okay as a conversation starter, but not the question which can or even should be answered. This debate really doesn’t have an answer, does it? I keep wandering back and forth, which does signal that vineyard and winery are inseparable. I’m curious why you think it _should_ never be answered? Oh, I’m sorry you feel that way. Even though this question may never be able to be officially answered, I do think that there is something really fun and exciting about the process of entertaining both sides of the debate. It’s all about having a little bit of fun. Thanks for taking time out to read the article! Lots of things to think about in this post by Valerie on The Demystified Vine. She even included me in it! (Thanks Valerie!) If you didn’t catch her podcast before, look for it below (it’s Podcast 138). She’ll also be making an appearance again in a soon to be released podcast. Thanks for the reblog, Luke! Cheers!